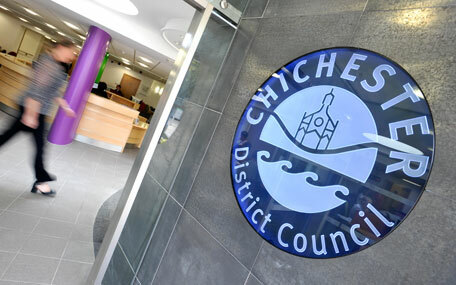 A review of housing provision in Chichester District over the next 15 years has been approved for a public consultation. At their meeting on Tuesday November 20, Chichester District councillors gave the go ahead for the Local Plan Review: Preferred Approach document to go out to public consultation for eight weeks, starting on 13 December 2018. The document sets out the council's proposed planning strategy for the period up to 2035, including the amount and location of proposed development. The Local Plan does not include areas within the South Downs National Park. These areas are subject to a separate plan undertaken by the South Downs National Park Authority (SDNPA). Members of the public will be able to view documents and information at www.chichester.gov.uk/localplanreview from 13 December. The consultation will take place over an extended period to take account of Christmas and New Year, and will end on 7 February 2019. "The amount of housing required is determined by central Government, not by Chichester District Council," explains Councillor Susan Taylor, Cabinet Member for Planning Services at Chichester District Council. "If we fail to plan for the required number, development will take place anyway, but in unplanned locations and probably with less infrastructure being provided. "This consultation is an opportunity for all residents to have a look at the proposals in detail and provide their comments. As well as commenting online, we are also organising a series of public consultation events across the district where residents can come along and speak to our officers, ask questions and find out more about what is planned. We will publicise these once all the dates and venues are confirmed, but they will start in January." The plan also sets out a number of smaller parish housing requirements where there is no strategic allocation. It is anticipated that the land will be identified in neighbourhood plans for those parishes. The plan proposes significant provision for new employment floor space. This would equate to more than 230,000 square metres for the period up to 2035. Around 2.4 hectares of employment land would be provided on land at Chichester Business Park, Tangmere. The council has commissioned a transport study to look at the impact development will have on the road network. The study will suggest measures to mitigate this impact. This will be available alongside the Local Plan Review: Preferred Approach. This includes proposed works to junctions on the A27 Chichester Bypass. These proposed works are a different and separate set of proposals from those that have previously been the subject of consultation by Highways England and discussion by the Build A Better A27 group. These latter proposals dealt with wider traffic and congestion issues rather than solely mitigating the impact of development within the Local Plan Review.